Tip in the peppers, add the stock pot and pour over the Carnation Evaporated Milk. Simmer on low heat for 20min stirring occasionally until thick and creamy. For extra veg, why not add diced aubergine, cauliflower florets or fresh baby spinach at Step 2? Easy to make and delicious. I put in some frozen defrosted spinach. 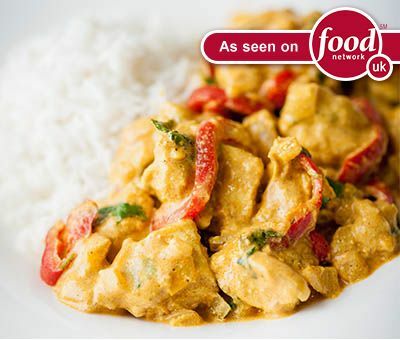 Carnation Chicken Curry is rated 4.7 out of 5 by 3. Rated 5 out of 5 by Jellybobs from Delicious Didn't have any chicken, so made this with chunks of beef instead... gorgeous!